Combine honeydew with other melons, with meats like prosciutto and pork chops, and seasonings like curry and cardamom. 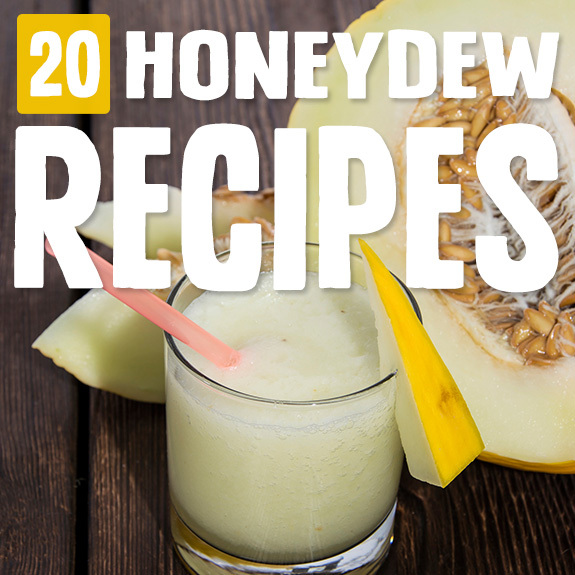 If you’re a honeydew skeptic, I encourage you to let some of these recipes convert you from your anti-melon ways. After all, who doesn’t enjoy a nice cucumber melon cocktail or a honeydew tomato salad with cumin and pine nuts? Nobody, that’s who! One thing melon is really great for is cooling and refreshing you. So why not serve some with spicy foods and curries, like these awesome pork chops? The salad is made with honeydew, cucumber, olive oil, shallot, cilantro, sea salt, and freshly ground black pepper. 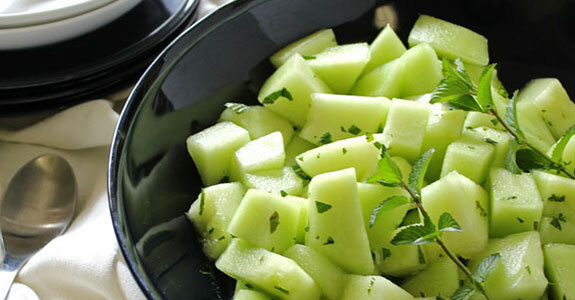 This simple salad is made with honeydew melon, honey, ginger liqueur or freshly grated ginger, and fresh mint. 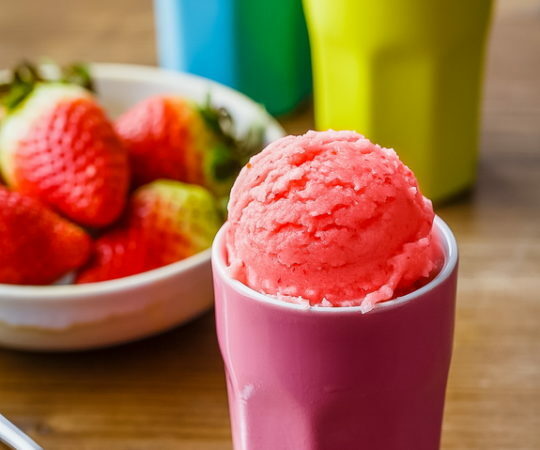 You could enjoy this is a hot weather dessert or easy summer snack to keep you cool and refreshed when the temperatures are soaring. This sweet smoothie is made with honeydew, frozen peaches, banana, lemon juice, and some fresh mint. It’s a lovely, creamy orange color and is a great way to get some honeydew into your kids who think green fruit is weird. Or your grown-up friends who think green fruit is weird. This juice is more like a very thing smoothie, so it doesn’t require a juicer to make it. Great! All you need to do is throw some honeydew, orange juice, lemon or lime juice, and khus essence (if you have it) into the blender and blend until it’s smooth. You can strain it or leave it pulpy. This easy salad capitalizes on the sweetness of melon and the spiciness of Aleppo pepper. 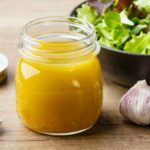 You’ll also use lime juice and zest with honey (or agave nectar) and olive oil to make a sweet and tangy lime dressing. Sprinkle with sea salt and pink peppercorns. This easy soup is great for summer snacks when you need something in your belly but don’t feel like doing any real cooking. It’s a bit sweet and a bit savory with honeydew melon, lime juice, cilantro, and pistachios to crush over the top. So yummy! 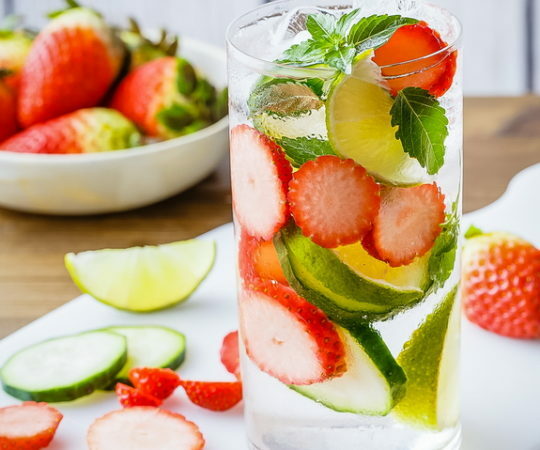 This cocktail is alcohol-free, so it’s great for families, kids, and anyone avoiding alcohol. 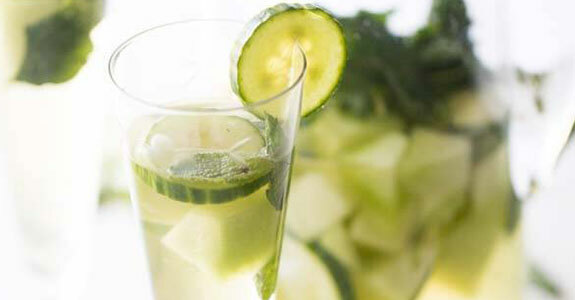 All you need is fresh cucumber, fresh honeydew, a bit of cantaloupe (to make melon ball ice!) and some sparkling water to make your cocktail all fizzy and awesome. These creamy pops are made with full-fat coconut milk, lime zest and juice, cardamom, maple syrup, and honeydew melon. 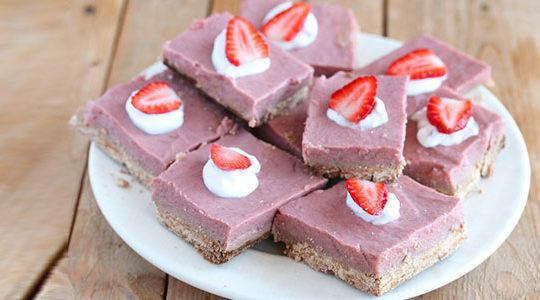 They’re full of healthy fats and only gently sweetened, but you could leave out the sweetener altogether if you wish. This easy smoothie is made with coconut water, so it’s a hydrating and vitamin-rich drink you can enjoy on a hot summer day or after a workout. You’ll just need honeydew, coconut water, mint leaves, honey, and some ice cubes for frostiness. This yummy white sangria is easy to make with honeydew melon, English cucumber, Prosecco, white grape juice, and fresh mint leaves. You’ll want to allow it to chill for at least an hour before serving, to get all of those delicious flavors blending perfectly. This not-for-kids salad is delicious with three kinds of melon, tequila, orange liquor, and lime juice. This would be a really fun grown-up summer party or picnic snack if you can keep it chilled. 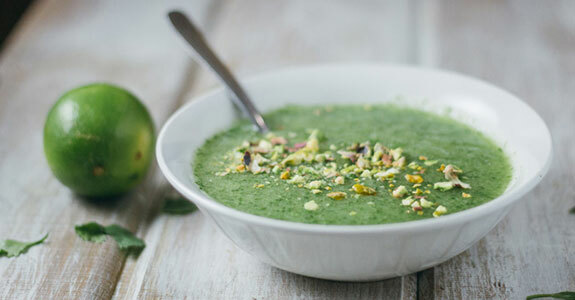 This elegant soup makes a lovely starter with ripe honeydew melon, lime, sweet champagne or sparkling wine, vanilla extract, fresh ginger, fresh mint leaves, kosher salt, and honey or pure maple syrup. It’s slightly sweet and extra sophisticated for a dinner party. This smoothie is almost like a bright honeydew limeade sweetened with agave (though you could use maple syrup if you wish). It’s made with coconut water as the base, which means it’s super hydrating and packed with vitamins and electrolytes. Kid-friendly, too! 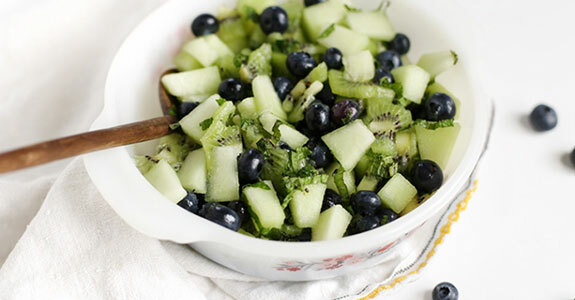 I love this easy summer salad made with honeydew melon, blueberries, kiwis, mint leaves, and lime juice. If you want, you could add a creamy honey poppyseed dressing, but it’ really isn’t necessary. The flavors here are fantastic on their own! Enough with these sangrias and melon margarita bowls, right? If what you’re looking for is a true honeydew margarita, here’s your recipe. All you’ll need is honeydew melon, silver tequila, lime juice, sea salt, and ice. This is a super simple recipe that you’ll love. Here’s a fun grown-up treat for hot summer days. These balls of watermelon, honeydew, and cantaloupe are infused with vodka and pear juice and sweetened with coconut sugar. Fresh basil and mint top off the flavors and make these delectable treats extra delicious. This iced tea is made with green tea, honeydew, and watermelon. You don’t need any sweetened because the melon is sweet, and letting the tea chill for several hours allows the flavors to infuse so you’re getting a fabulous melon infused tea for your backyard party. Here’s a creamy popsicle with simple ingredients and natural sweeteners. 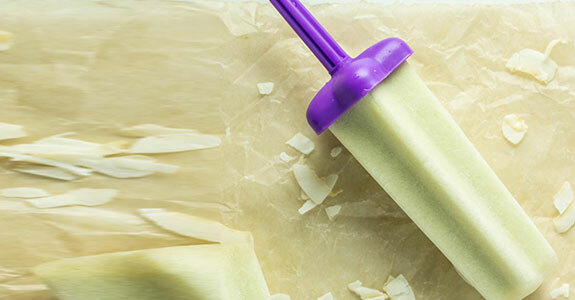 Kids and adults alike can enjoy these pops, which are made from honeydew melon, full-fat canned coconut milk, maple syrup, and optional coconut flakes for added texture. This easy salad is a savory application of honeydew, for a fun departure from the sweets. You’ll need honeydew, tomatoes, cilantro, jalapeno, pine nuts, cilantro, and a homemade dressing of olive oil, lemon juice, salt, pepper and cumin powder or roasted cumin seeds. I love the flavor combination in this recipe, with sweet honeydew, creamy avocado, fresh basil, white balsamic vinegar, honey, salt, and fresh ground black pepper. Top it with crispy prosciutto and you’re taking things to a while new and amazing level.